...and they're off! A classy way to let your guests know you are having a Kentucky Derby inspired party. 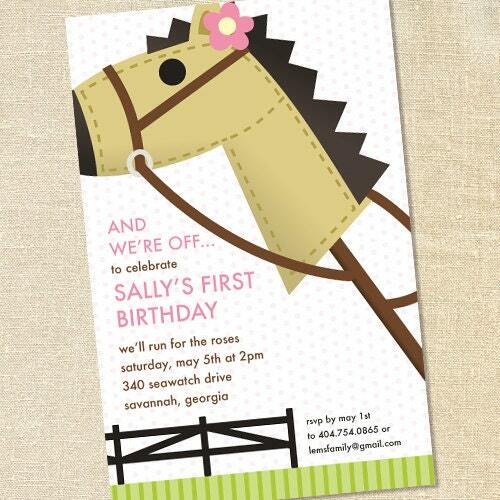 Soft colors and a preppy design would work beautifully for a girl's birthday party or baby shower!